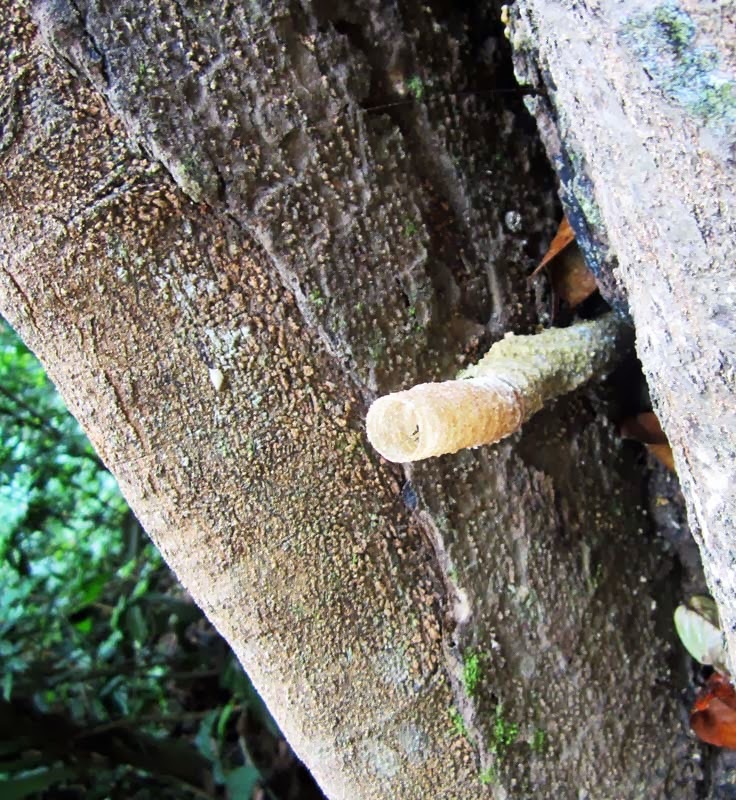 This golden tube is probably the entrance to a larger bee hive. Like a small passage into the tree. 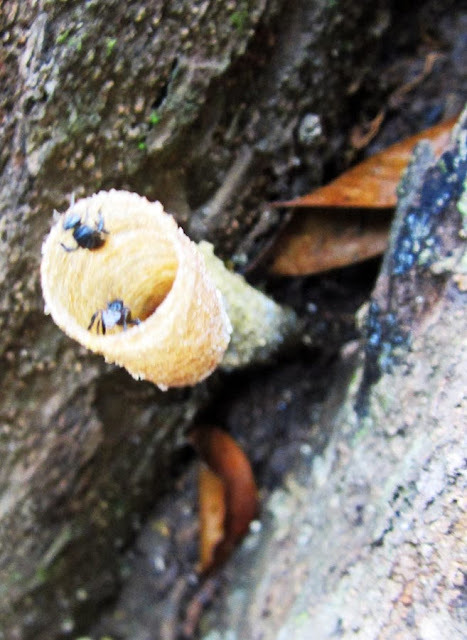 Saw this hive in the jungles of Malaysia, in Tamen Nagera forest. A close look at the mouth of the bee hive. Bees crawling inside and out. Some bees resting on the bark to the right of the image. A swarm of bees buzzing around a bee hive, enough to make the hair on the back of your neck prickle! 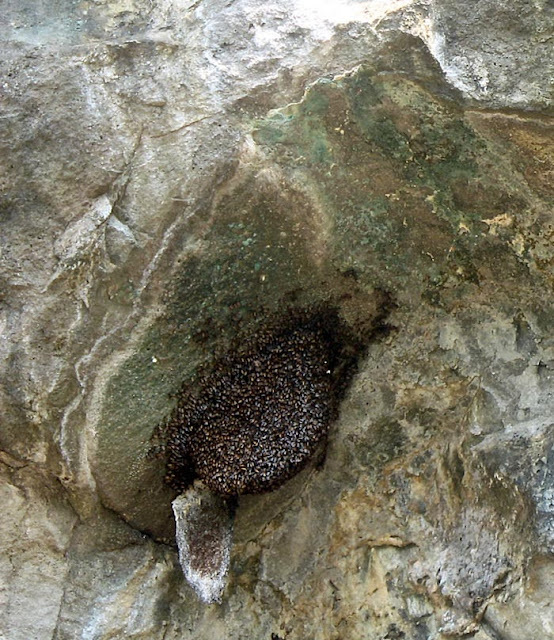 This hive was made on sheer rock showing that bees are very versatile. 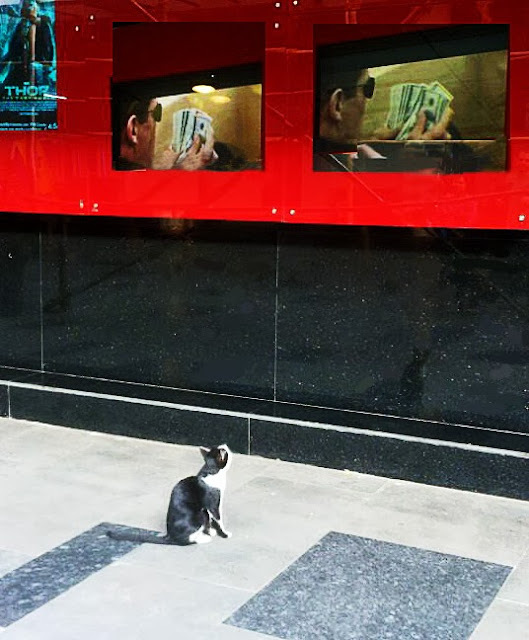 This picture was taken in Aurangabad. 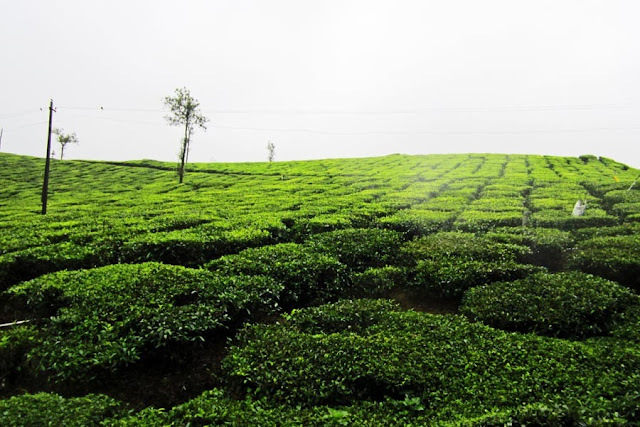 These are picturesque scenes of the tea gardens in Kerala, India. 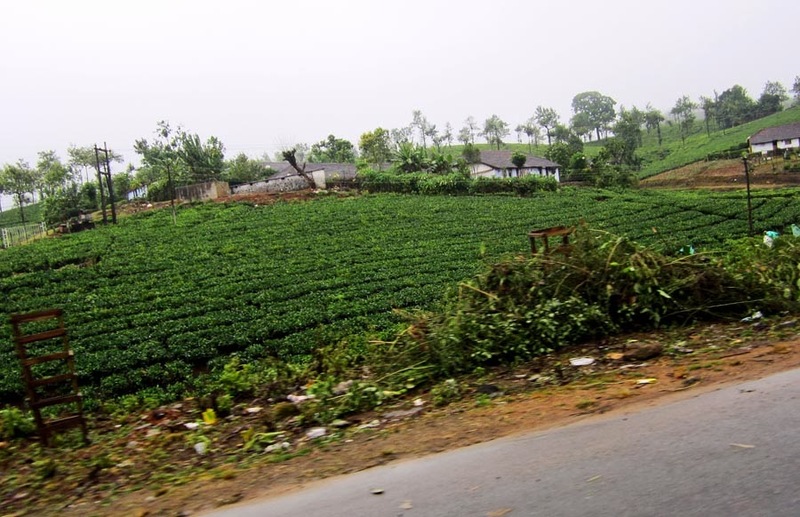 These photos of tea plantations were shot while moving in a car. 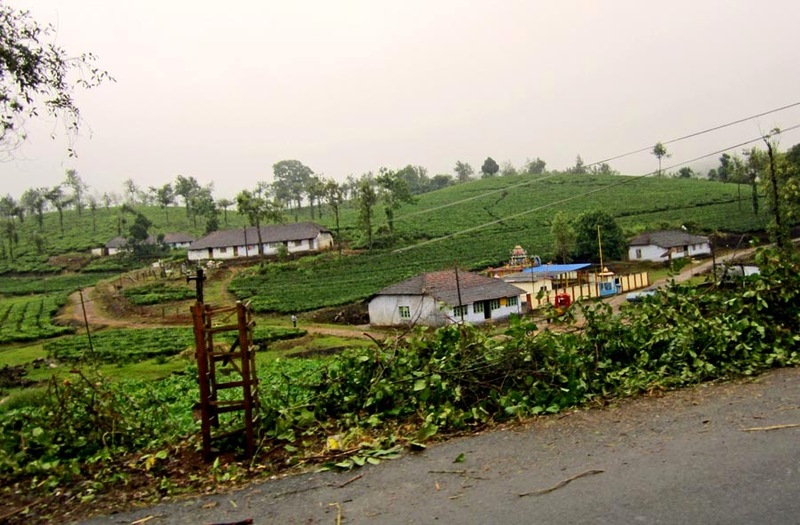 A row of pretty houses, a temple and a dirt road in the backdrop of lush tea gardens. 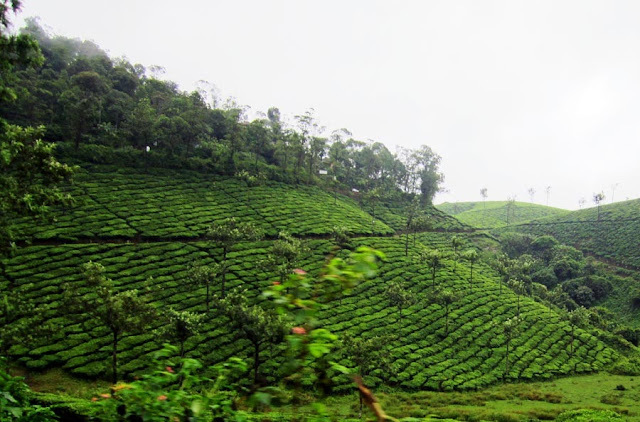 A closer shot of the tea bushes. Tea being grown on the hills of Kerala. A photo of a tea estate plantation in Kerala. 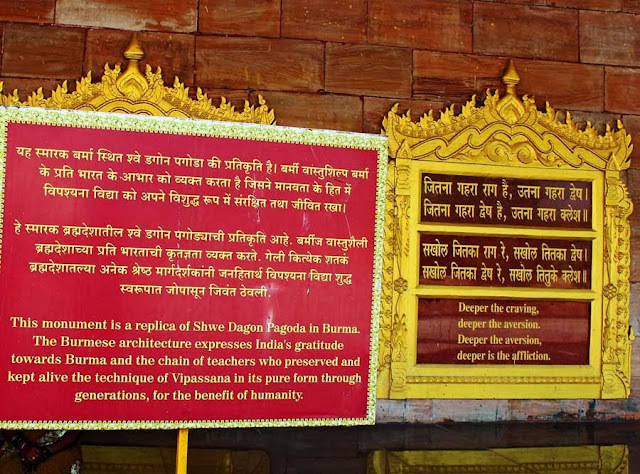 These are quotes and spiritual sayings of Dhamma, which have been put up on the Buddha Pagoda at Manori, near Mumbai. A pity that the English translation is poor. There are least a hundred such sayings put up all around the Pagoda. Framed in large gold decorated frames, these sayings are in three languages - in Marathi, the regional language of Maharashtra, Hindi, the regional language of a few states in North India, and English, the working language of India. They have apparently been translated into English by someone poor in English because the translations are not proper. This board says "Deeper the craving, deeper the aversion, deeper the aversion, deeper the affliction". The Marathi/ Hindi ones make more sense. The Hindi one means "Deeper the anger, deeper the hate, deeper the hate, greater the misery"
Either the words have been lost in translation from Hindi to English, or the translation is very wrong and cannot be understood unless you know Marathi or Hindi. 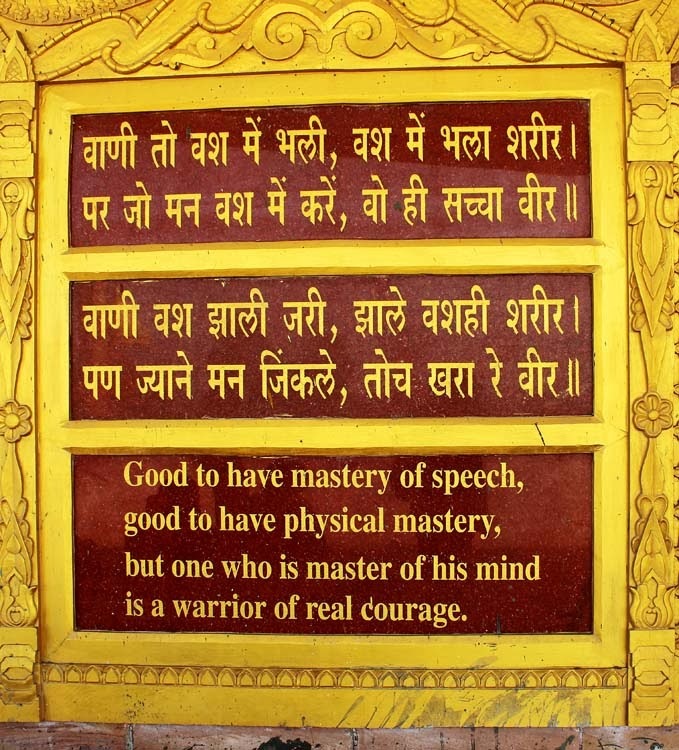 This one says in English: Good to have mastery over speech, good to have physical mastery, but one who is the master of his mind is the warrior of courage. The last bit which says "warrior of courage" makes no sense. A person who does not understand Hindi or Marathi will not understand the English words. 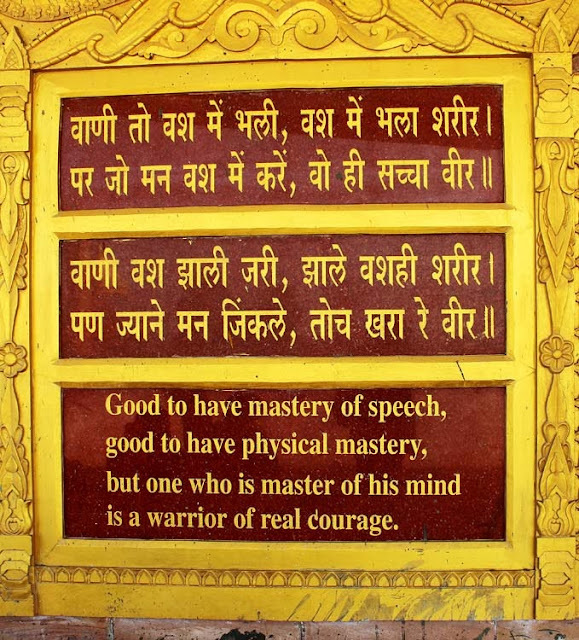 The Hindi and Marathi words actually mean that the person who is the master of his mind is a true warrior. For our own actions, we ourselves are the authors. 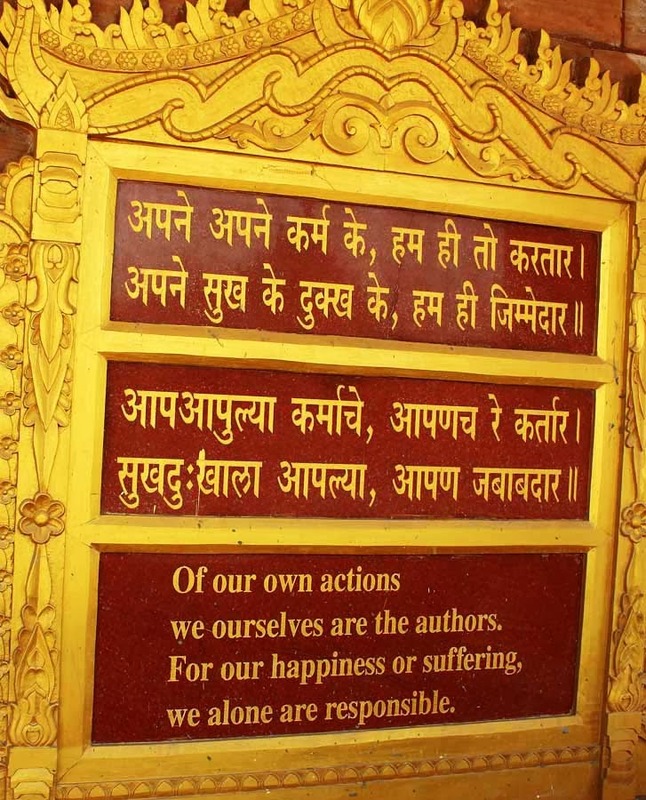 For our happiness or suffering, we alone are responsible. These words are a better translation because they make sense, but the translation is a poor one. In the first sentence the word "actions" does not match with "authors.' However we do get the meaning. Transform your deeds of body, transform your deeds of speech, transform your mental deeds, this is the essence of Dhamma. Here the word "transform" is an incorrect translation of "Sudhar" which means improvement. Change is a better word than transform, but even the word change is not the correct one. Improve is the correct translation. 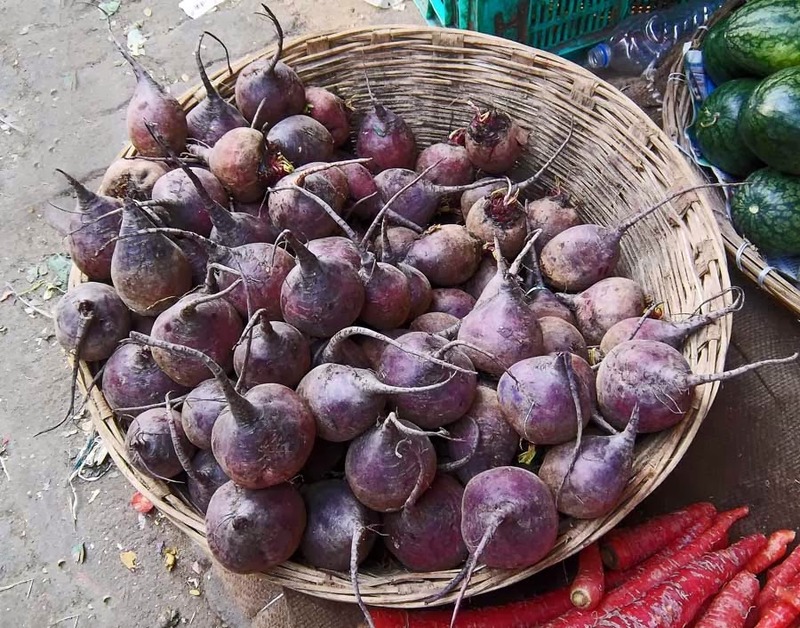 These are photos of beets or beetroots in an Indian market. A bunch of these may not look so red on the outside but inside they are blood red. 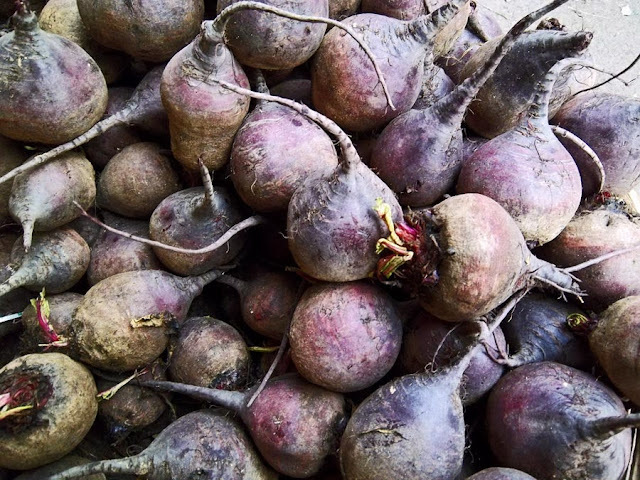 Beetroot powder is a great safe way to color food. Nutritious vegetable mostly used in salads. Close up images of beetroots. Bunch of beets in a wicker basket for sale. 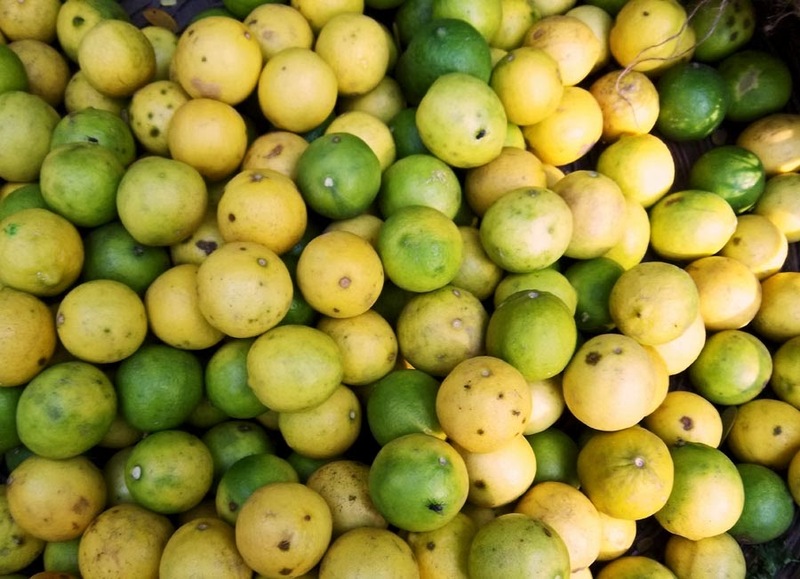 This small yellow fruit is rich in Vitamin C. The lemon is supposed to have originated in India. The green ones are not fully ripe but taste as good! 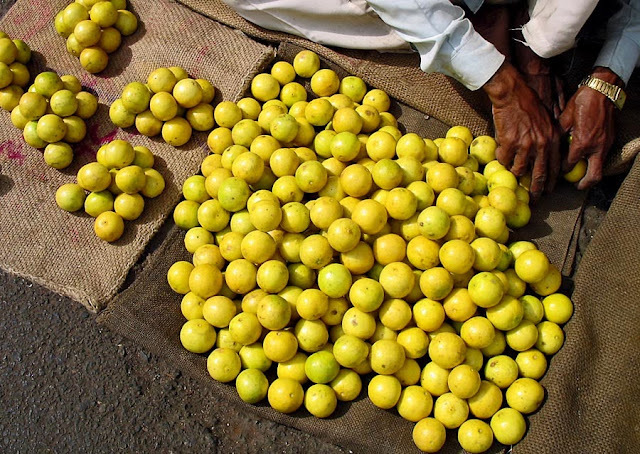 Lemons for sale on the streets of India. You can also try the label Fruits for photos of different types of fruits and the label Vegetables. 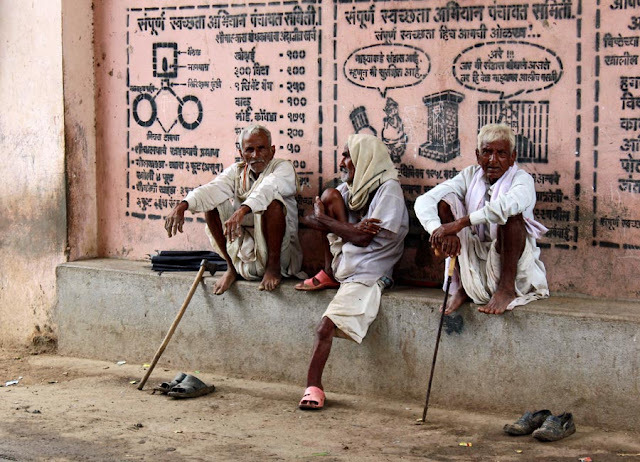 A group of old men in rural India relaxing on a concrete bench. Their sticks lie next to them. 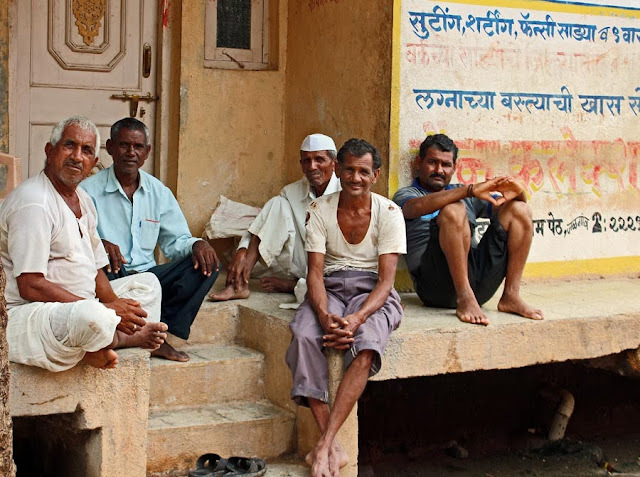 A large group of old and elderly men in a village gathered for a chat. 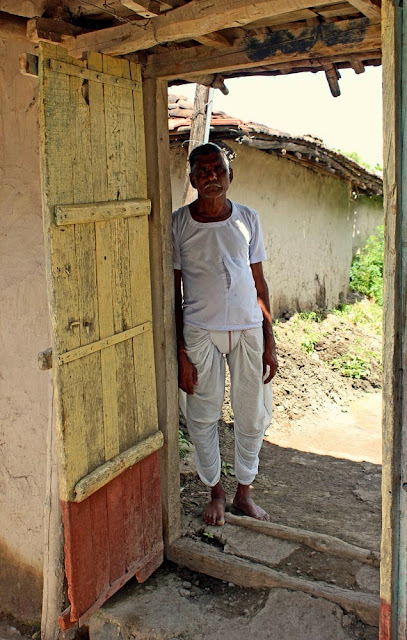 The Old Man in the doorway. An old man with white sparse hair outside his house. 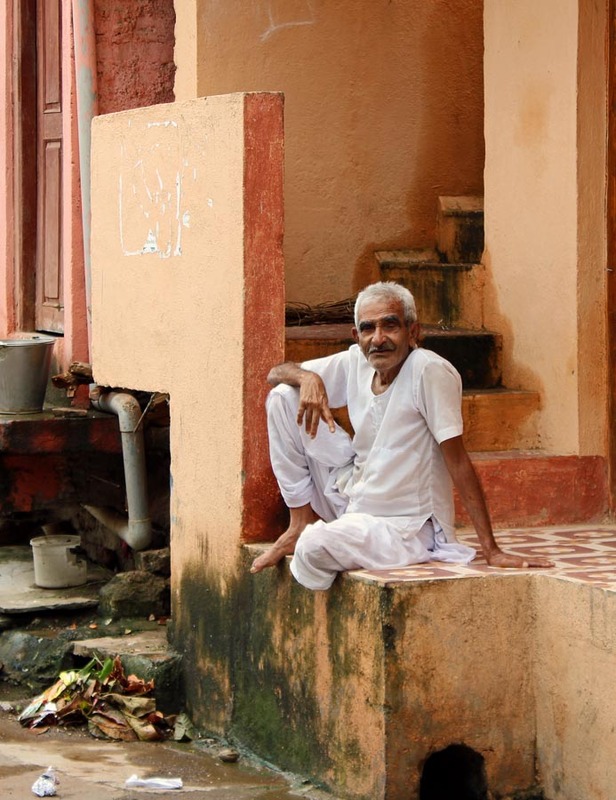 More images: Old men reading newspapers in India or Pilgrims singing and playing the Manjira musical instrument or Destitutes and beggars - portraits of old men or check out all the photos displayed under the label Men. 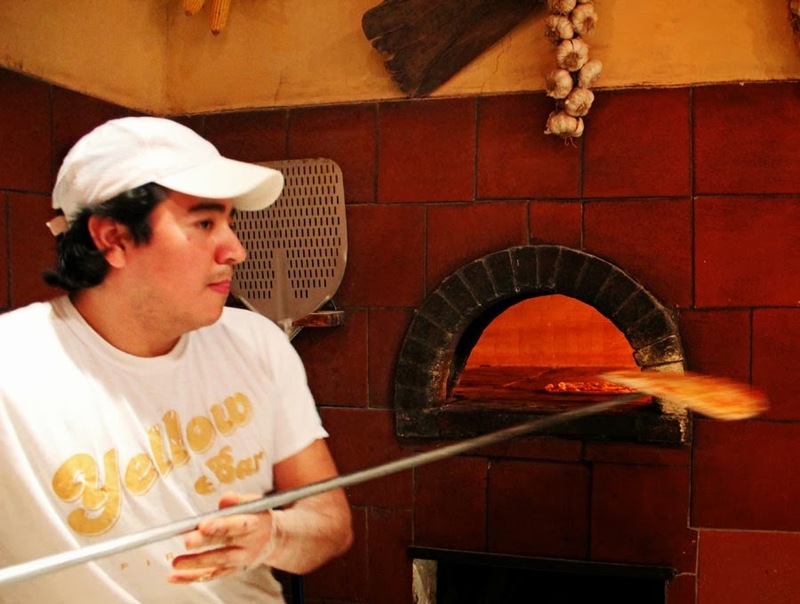 Pizza has a better flavor when cooked the natural way, in a wood fired brick or stone oven. There are restaurants which specialise in providing pizzas cooked this way. It has a yummy smoky flavor, and the pizza itself is more crisp and crunchy including the toppings, and the crust is also light and fluffy. 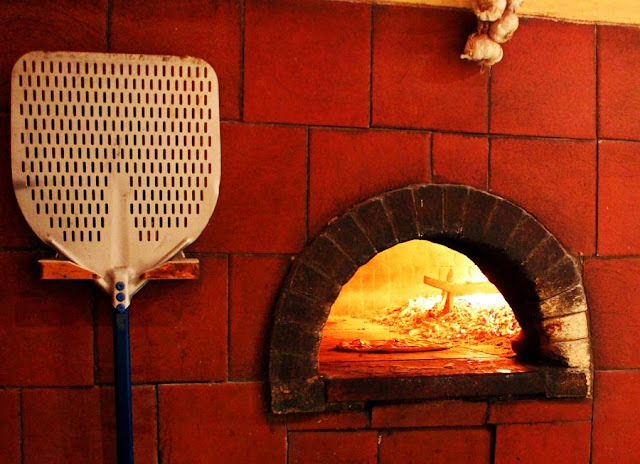 It is believed that the brick oven cooks very quickly and so the pizza does not become soft. A regular crust slice of a 14" pizza (107 gms) is about 285 calories, and that is quite high. 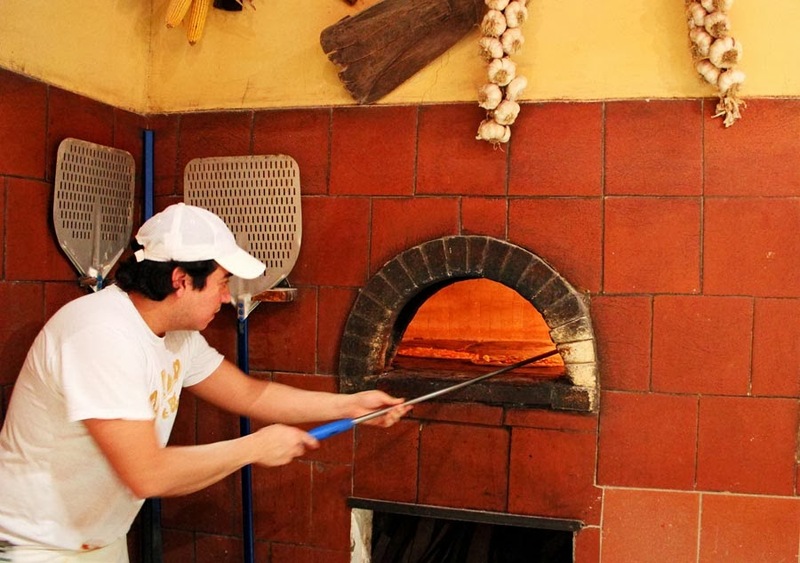 A chef or cook placing the pizza in the brick oven. Taking out the pizza very gently from the wood fired brick oven. A close up of the inside of the wood fired brick oven. With the fire so close, no wonder the pizza cooks so quickly! Or try the label "Food" for more images of food. Which Muesli product is the most nutritious and which breakfast brand of Muesli has the least calorific value? What does the nutrition information tell us? Muesli by itself is a high calorie food because of the nut and sugar content. 1 small katori is about 60 grams of muesli (half a cup) and this can contain about 180-200 calories. 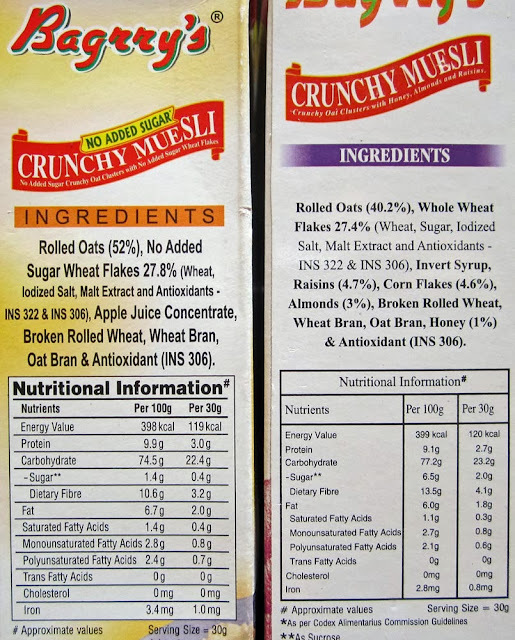 Bagrry's No Added Sugar Crunchy Muesli, if compared to another Bagrry's Muesli product with added sugar, should logically contain fewer calories, right? Otherwise why advertise it as "No Added Sugar" on the food label? The calorific difference is just 1 calorie as seen in the nutrition information! The No Added Sugar Muesli is 119 cals for 30 grams and 398 cals for 100 grams, even though this high calorie muesli has no nuts, just rolled oats and bran, wheat flakes and bran, and apple juice concentrates. Where are the calories coming from then? This makes one doubt the nutritive value of Muesli as a breakfast food. The other Crunchy Muesli from Bagrry's has the same ingredients but added sugar, honey and raisins, corn flakes, and also almonds and yet it is 120 cals for 30 grams and 399 cals for 100 grams! Just one calorie more than the No Sugar and no nuts variety? Something seriously wrong here. Misleading and false claims by Bagrry's one would think. Express Foods' Harvest Crunch has similar ingredients like nuts and honey, and it is 123 cals for 30 grams, just slightly over the Bagrry's nut mixture. However this is a very poor quality product. I have bought it several months before the expiry date but it still emanates a stale stink. Probably due to inferior quality ingredients. Avoid this one if you can. 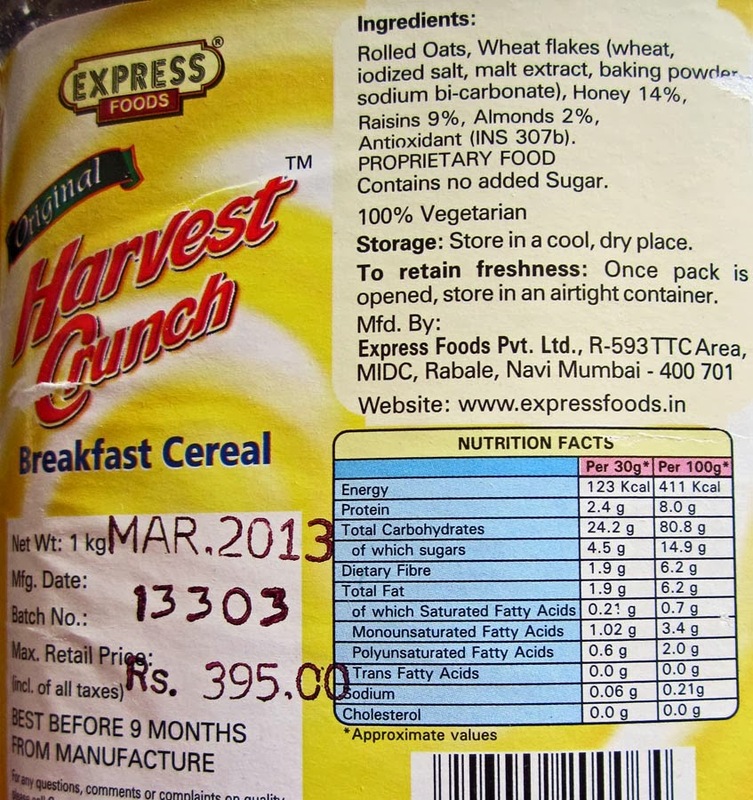 Interestingly, a muesli mixture of dried nuts and fruits (the Indian brands referred to here have a very small quantity of nuts and hardly any dried fruit) from a developed country is just 118 for 30 grams. This too with a far larger number of nuts! And muesli without nuts and fruits from a developed country is 108 calories for 30 grams, with sugar included! And Sainsburry's no added sugar muesli with nuts is only about 106 cals for 30 grams. Our Indian brands skimp on the nuts, but put a high calorie count on their labels, it would appear. Either the labels are wrong or we are consuming hidden calories. Even if we assume that developed countries like the UK and the USA are labelling their products wrong despite the strict labelling laws there, the minimal difference between two products of Baggry's (one with sugar, another without) raises suspicions. The reason I have not mentioned Kelloggs here is that I cannot eat their muesli and never buy it. I hate those little fruity brightly coloured fake food that they put in their muesli. Also I think their value for money equation is very poor. I am not at all satisfied with the quality, and I consider Kelloggs worse that Harvest Crunch and Bagrry's. Unfortunately their distribution might ensures that they sell their products! High Calorie Food - Sausages and Fries or Processed foods in India or Should you take Multi Vitamins and Mineral tablets?